A man bit part of his workmate’s nose off during a night out in Whitby. The incident happened in Beez Bar where a boozed-up Martin Reed got into a fight with another man and was told to calm down by his colleague. But Reed, who had been ejected from the bar, then turned on his workmate and bit a chunk of his nose off. The victim was taken to hospital with a deep wound on the tip of his nose which needed 22 stitches. Another part of his nose was completely missing. He was referred to a facial surgeon for remedial treatment but was left with permanent scarring. Reed, 36, was arrested shortly afterwards after CCTV operators reported the incident to police. Reed told officers he had lost his rag after he himself had been attacked by another man inside the bar. York Crown Court heard that Reed and his workmate had been working on a building site near Whitby in the summer of last year and were staying in digs together. 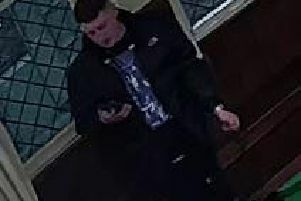 On June 19 they went out separately with their own groups of workmates for a night out in Whitby but came across each other in Beez Bar at about 1am, when Reed was thrown out by door staff after scuffling with another man and threatening to bite his nose off. “His colleague went out to try and help (Reed) because their employers had warned that if there were any problems in Whitby while they were out at night, they would be sacked,” said prosecutor Louise Reevell. But Reed was already out of control, swearing at doormen and threatening to kill them. When his workmate intervened he was forced to the ground by Reed before the nose bite. Following hospital treatment, the victim had to have dead tissue removed from his nose by a wounds nurse and was forced to take eight weeks off work. He incurred costs of £6,200 through loss of earnings, hospital appointments and silicone-gel treatment for his wound. However, he told police and the Crown Prosecution Service that he didn’t want his workmate to be jailed because of the effect it would have on his children. The court heard Reed, of Denholme, near Bradford, had no previous convictions but got a police caution in 2010 for possessing and cultivating cannabis. Defence barrister Taryn Turner said married father-of-two, Reed, was “appalled” at his behaviour in Whitby and deeply remorseful. Recorder Bernard Gateshill gave Reed an 18-month jail sentence, but suspended this for two years because the incident was a result of a “momentary loss of temper” while the defendant was drunk.